Hygienist was great as always. Did not see Dr. Baxter. Nothing to say but to express my complete satisfaction, as usual. Gentle and thorough cleaning! I always have a good experience at Dr. Baxter's. 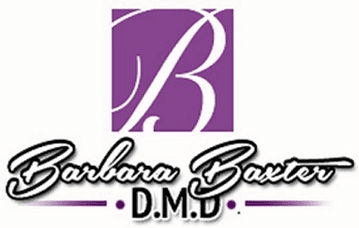 I have been going to Dr. Baxter for years! She is an outstanding dentist, compassionate and kind as well! I highly recommend her practice! It is so pleasant to see Dr Baxter. She is so nice and professional. The service is great and I am always seen on time. Experience at the office was super, especially attention in expedited manner as I had scheduled another meeting close on. BUT I do not need to receive so many email, texts, phone messages re my appointments. So please eliminate all but one method of communication. any one is fine with me. Thanks you. My teeth were well cleaned. Thank you for asking. The Dr was able to see me the day after I lost a filling, even though I was a new patient and she solved my problem the same day. Routine cleaning and checking performed with excellence. Ruth, the hygienist, is always a pleasure! Thanks for great and timely service. Ruth and Dr. Baxter are great, efficient, considerate and painless. Great, professional staff and Dr.! The first time I had a visit at Dr. Baxter’s office was for a cracked filling. As a new patient I was seen within a week and she prepped me for a crown the same day. Dr. Baxter is an amazing doctor. She is friendly and patient with children. She is very knowledgeable and her staff is professional. Many thanks to our Dr.!